The Sennheiser ClipMic digital makes it easy to get clear, accurate voice recordings with just your iPhone or iPad. The Sennheiser ClipMic digital makes it easy to get clear, accurate voice recordings with just your iPhone or iPad. 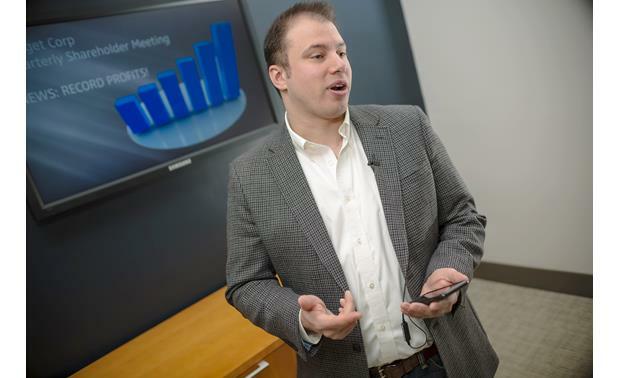 Whether you want to record a presentation you're giving, an interview subject, or just want a superior audio track for video you're shooting with your iPhone or iPad, the ClipMic delivers. 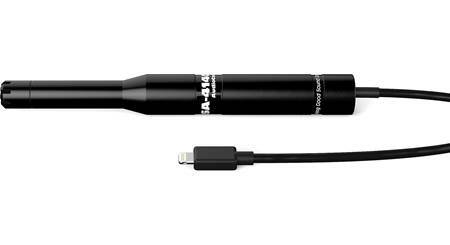 Record sound directly to your iPhone just about anywhere. 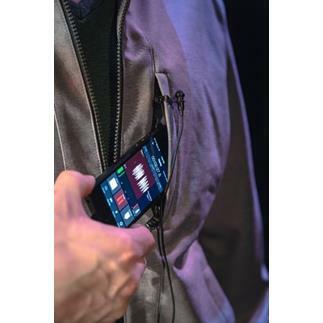 The system features a Sennheiser ME 2 lapel mic that effectively rejects ambient noise. It comes with a windscreen, so you can use it indoors or out and still get clean voice recordings. 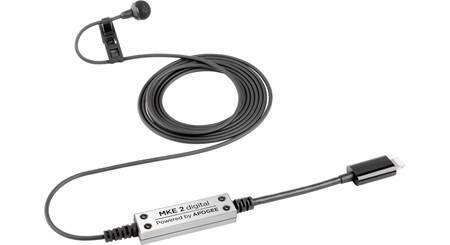 The mic feeds its signal to an in-line digital encoder developed by Apogee, a leading manufacturer of digital pro audio gear. This top-quality analog-to-digital converter lets you capture high-res audio up to 24-bit/96kHz. 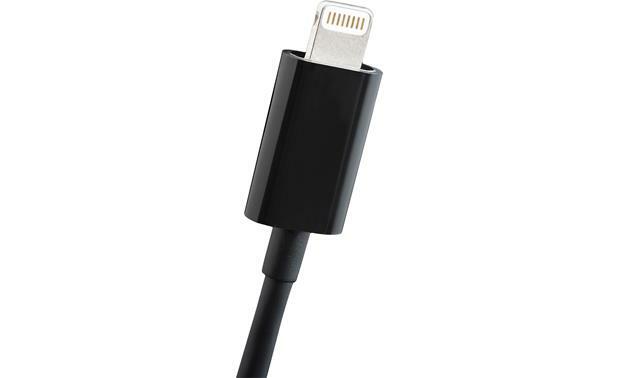 And by plugging into your iOS device's Lightning® port, it ensures much better sound quality compared to microphones that connect through your phone's headset jack. 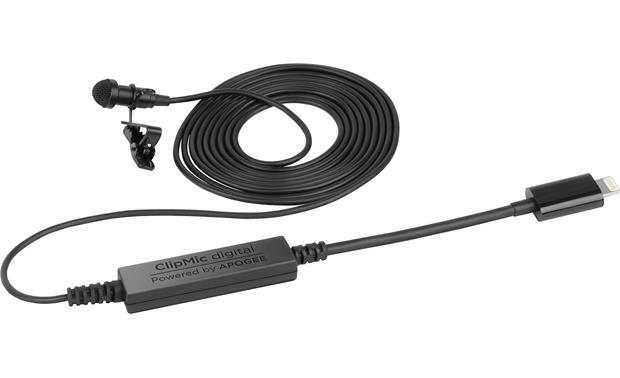 Overview: The Sennheiser ClipMic digital is a direct plug-in solution for making high-quality recording directly to your Apple mobile device. 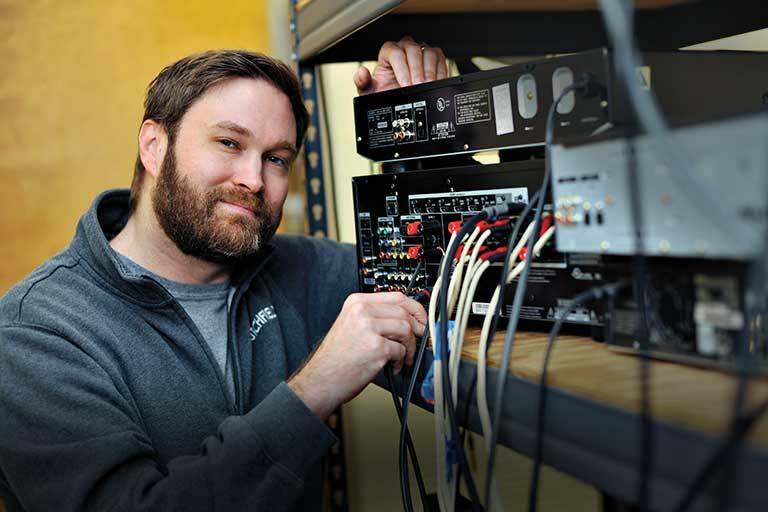 It has a 70" cable with an in-line signal converter, and terminates into an Apple Lightning connector. 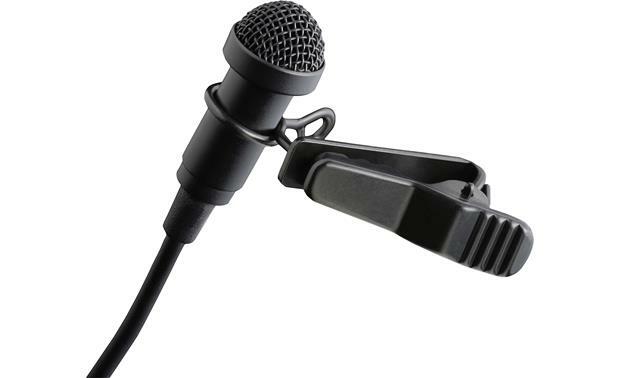 The microphone includes a clip for attaching the mic to your clothing, a metal windscreen, and a cloth carrying pouch. The downloadable Apogee MetaRecorder and Apogee Maestro applications let you control the levels and recordings on your Apple device. 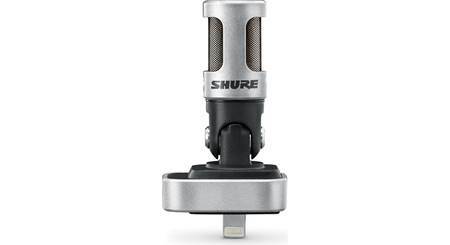 Microphone Capsule: The ClipMic digital features the ME2 condenser mic capsule with an omnidirectional pickup pattern. 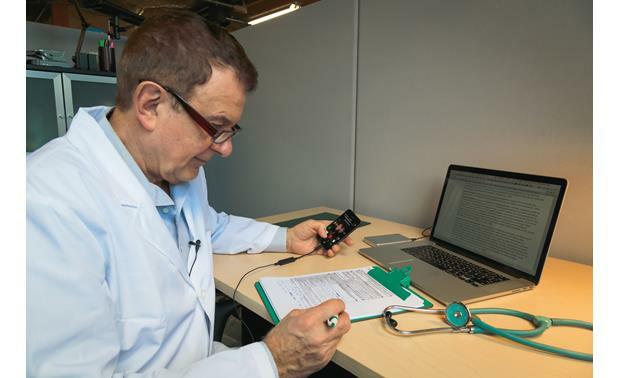 The mic is powered by the iPhone, iPad, or iPod to which it is connected. Its small form factor (1/4" diameter, 5/8" length) allows it to be discreetly placed on your clothing. The microphone plugs directly into the device's Lightning port, allowing you to monitor the recording through the headphone output. For best results, you should place the microphone within 10" of the subject's mouth. When the included metal windscreen is attached, wind-generated noise is reduced by up to 20dB. 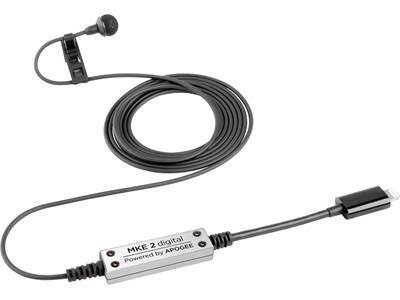 Audio Converter: Located within 4" of the Lightning connector, the in-line Apogee PureDigital audio converter digitizes the analog audio signal into a high quality digital audio signal with up to 24-bit/96kHz resolution. The signal also includes the metadata that makes is easier to edit your recordings. 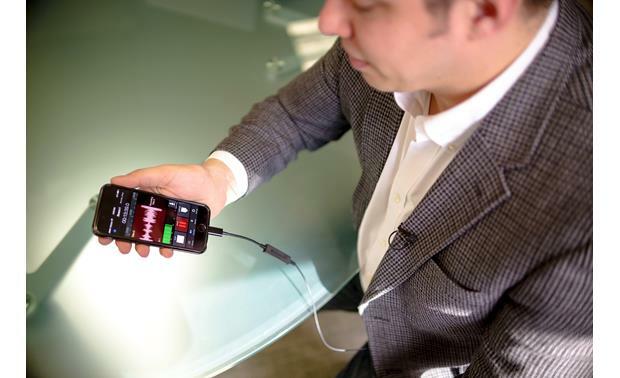 Apogee MetaRecorder: Apogee MetaRecorder is a 2-channel audio recording app for iPhone, iPad, and iPod touch. 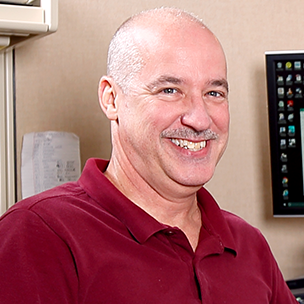 Audio is recorded at a resolution of up to 24-bit, 96kHz in WAV or CAF (Core Audio Format). You can link one Master iPhone to up to 3 satellite iPhones (or iPads or iPod touch) via Wi-Fi. When linked all actions performed on the master are duplicated on the satellites. The MetaRecorder app also includes control via Apple Watch. 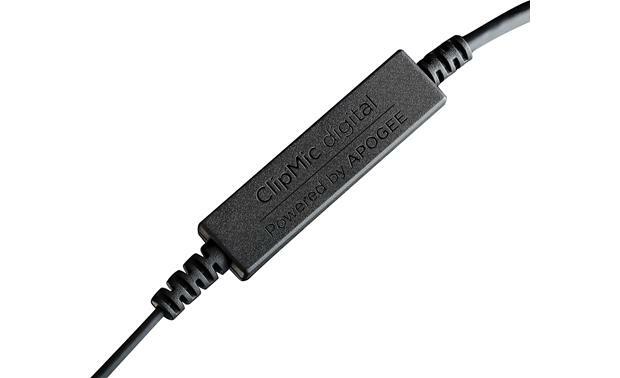 Apogee Maestro: Apogee Maestro allows you to control your ClipMic digital microphone with your Apple mobile device. You can adjust the input gain, EQ, compression, and other settings with the app. Maestro also improves latency problems (delays during recording) with a mixer. Apogee Maestro is not a recording application. 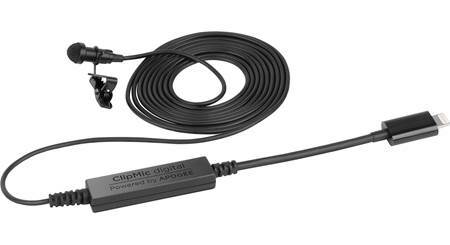 Searches related to the Sennheiser ClipMic Digital Clip-on condenser voice microphone for iOS® devices.